A recipe that we got from Wendy. Here she has Greensweet liquid stevia. preheat the oven to 170 degrees. put all the ingredients together and put them in a greased baking tin (or in a silicone mold) and bake for about 15 minutes at 170 degrees. Warm the whipped cream mix the egg yolks with the arrowroot and mix greensweet drops of vanilla until the egg yolk mixture is light yellow in color. Then add some of the warm cream and mix and then put everything back into the pan and continue to beat until it has become a thick custard. then remove from the heat and stir in the butter. pour all this in a container and let it cool down. 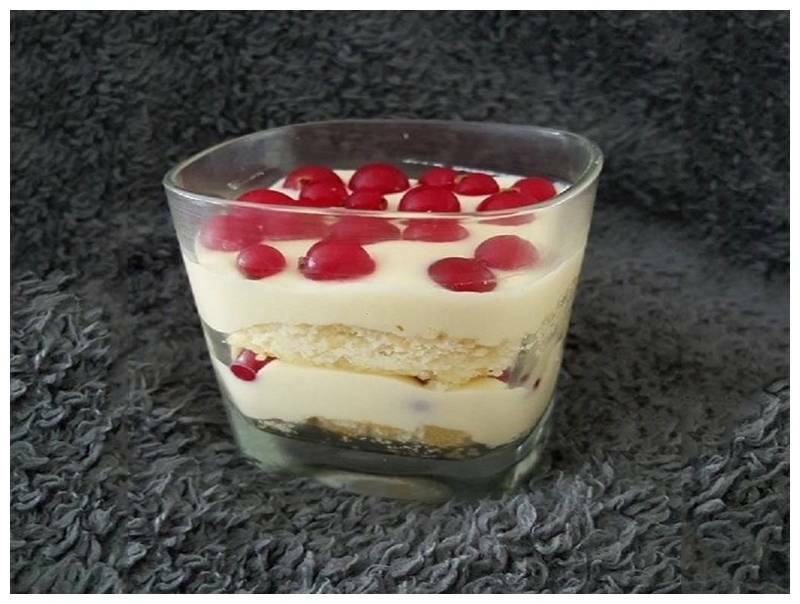 When everything has cooled down, place a layer of cake in a glass and then a layer of pastry cream and possibly some red fruit and so you build up the glasses. this recipe is for about 4 servings.